The word of the week around here is marble. 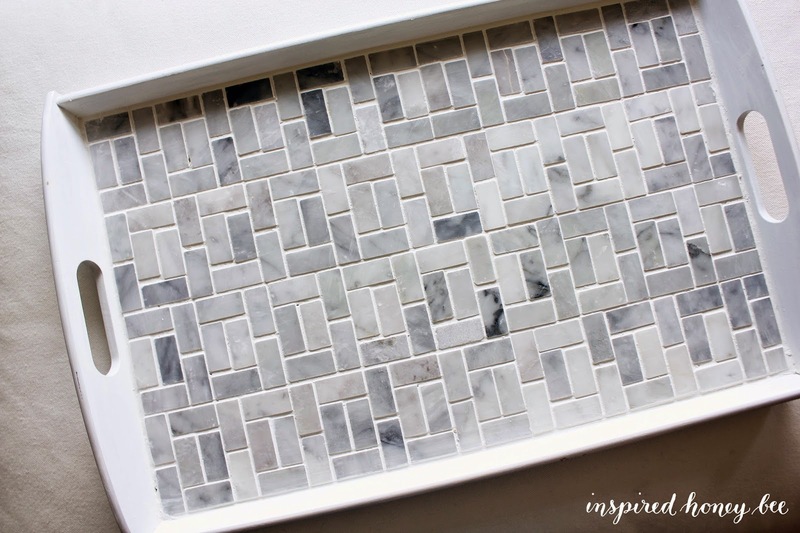 First, I amazed you with the finished work of our kitchen backsplash and now this DIY project. 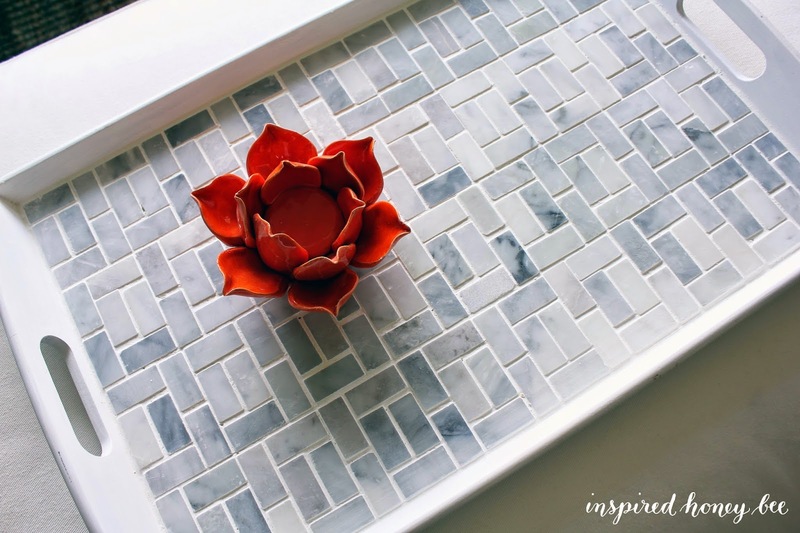 Since I was already making a hot mess around here with adhesive, grout and cutting tile, I figured, let's just contain the insanity! Luckily for all parties involved, the new design - which as you can probably see - has no brilliant pattern but is instead the result of a haphazard jigsaw puzzle. 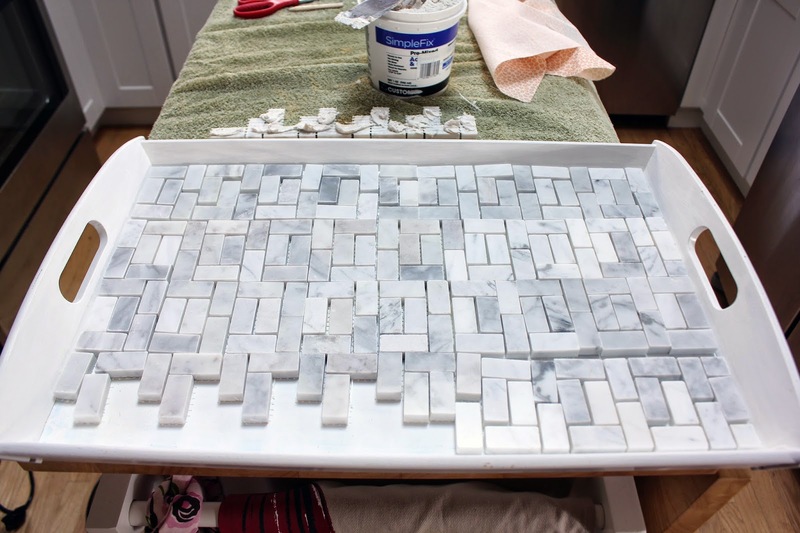 I only needed to cut three pieces and adhered this pattern down (using Simple Fix Pre-Mixed Adhesive and Grout) before my OCD kicked in (I'm staring at it now and rethinking this post ...). After I finished grouting the backsplash, I threw caution to the wind and added the grout only 6 hours after adhering it to the tray. I'm pretty sure I'll face the punishment one day, but for now, how freakin' cute is this thing!?! Not sure if I'm more proud of the tray or the entire backsplash. 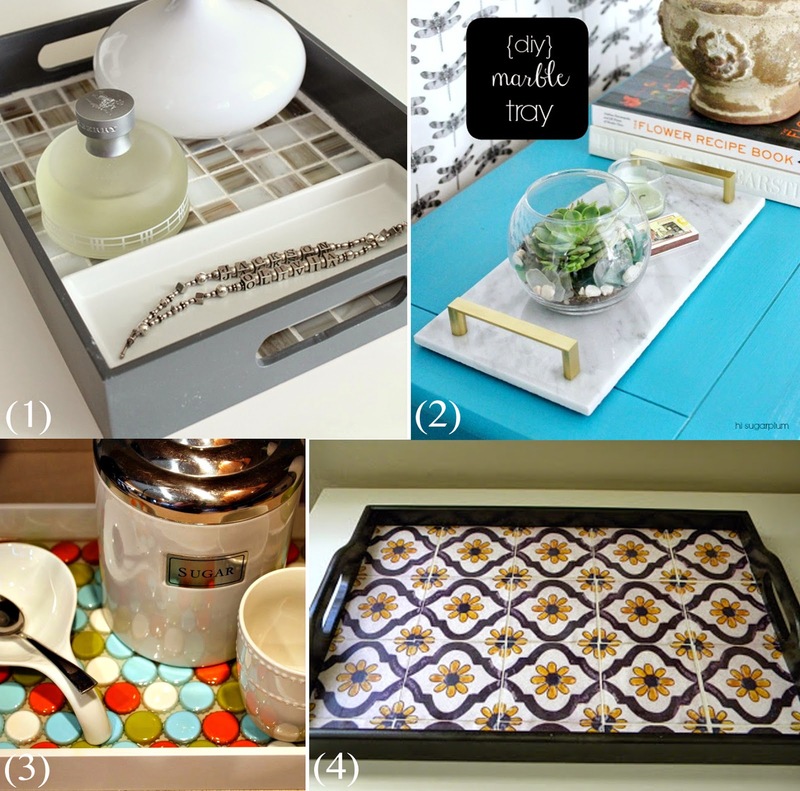 To inspire you and for more detailed directions on how to customize your own tray, here are four different and easy tutorials. I love how this looks! I have the perfect tray sitting in my house already! What a clever idea. It really turned out beautifully! Thanks for sharing it with Share Your Cup. I'm sure it's not intentional, but I'm not seeing a link back to the party.